Chino Hills High School students use a conveyor oven at SCE's Foodservice Tech Center to make freshly baked pizzas. Chino Hills High School students prepare toppings for their pizzas at SCE's Foodservice Tech Center. 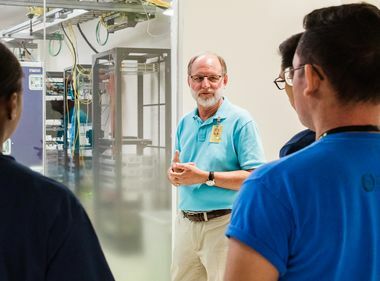 Andre Saldivar, an SCE engineer, gives students from Chino Hills High School a tour of SCE's Energy Education Center in Irwindale. Janel Ackel (second from right), Chino Hills High School teacher, and her students visit SCE's Foodservice Tech Center to learn about energy savings in the kitchen. Chino Hills High School students visit SCE’s Foodservice Technology Center and simulate a commercial kitchen cookline using energy-efficient equipment. Ruben Xochitiotzi, 16, a sophomore at Chino Hills High School, hopes to be a successful restaurateur or businessman one day. 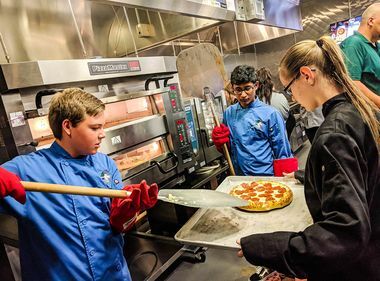 He got a taste of what it would be like to be part of a cookline making pizzas using modern commercial kitchen appliances during his recent class visit to Southern California Edison’s Foodservice Technology Center. SCE partners with the California Restaurant Association Foundation to host a local high school with a culinary program so they can learn about energy savings in the kitchen, tour SCE’s Energy Education Center and cook in a commercial kitchen. Andre Saldivar, an SCE engineer, shows Chino Hills High School students, including Ruben Xochitiotzi (left) and Kiana Calderon (second from left), how to use the induction cook tops to make pasta. For Janel Ackel, a Chino Hills High teacher, it was an opportunity to show her culinary arts and business academy students a different side of the hospitality industry. Chino Hills High is part of the restaurant foundation’s ProStart, a national foodservice career exploration and training program for high school students. “If they’re working in the hospitality industry, they need to understand, how do I save the organization money with lighting and equipment?” Ackel said. Before the students added their favorite toppings to their pizzas, Andre Saldivar, an SCE engineer who oversees the center, gave an overview of what it’s like to run a restaurant, focusing on energy efficiency and productivity. SCE’s Foodservice Tech Center gives them a glimpse into this very important side of restaurants they probably haven’t thought of before. 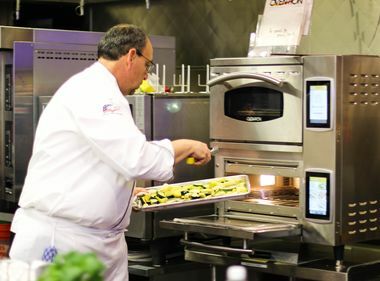 Saldivar enjoys engaging with these students — the future chefs and players in the food industry — to show them what’s ahead, including lessons on how to reduce the cookline and introducing new energy-efficient equipment. “It’s all about the food!” he tells them. “We want the ProStart students from Chino Hills High School to have a deeper understanding of how the restaurant business works,” said Bobbi Cichowski, program manager for the restaurant foundation. “That includes equipment, keeping track of your expenses, like energy savings and rebates, and thinking through operations and restaurant design." 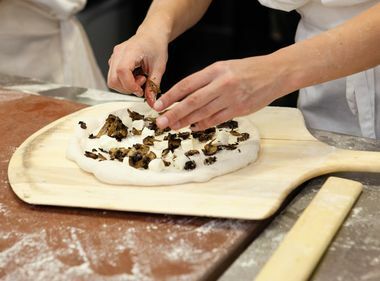 “SCE’s Foodservice Tech Center gives them a glimpse into this very important side of restaurants they probably haven’t thought of before,” she said. Kiana Calderon, a 16-year-old sophomore, grew up cooking for her family and wants to open her own restaurant or bakery. “Today, I learned about the types of equipment I would look into buying if I were to open my own restaurant,” she said. But that wasn’t all she learned. “Just being able to know that I am not wasting energy, which is doing more harm to the environment than what is necessary, I think it’s a big part of what I want to do,” she said.